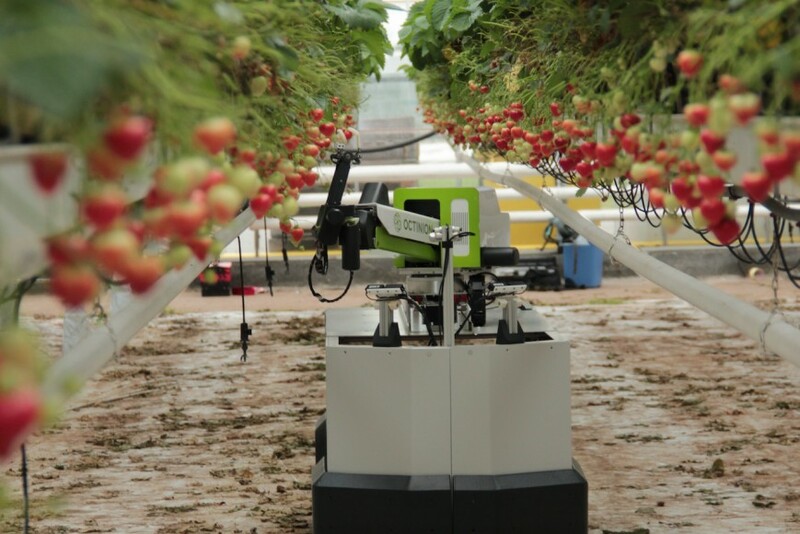 Leuven-based R&D technology company Octinion is set to present its fully autonomous strawberry picking robot during Fruit Logistica in Berlin. The launch, which the company describes as "crucial for the sector", comes after five years of development, with Octinion the first company in the world to market this particular innovation. The robot will be visible at several different events during Fruit Logistica week, including World of Fresh Ideas on 5 February, the Fruit Logistica Tech Stage on 6 February, and on the group's stand from 6-8 February. Named Rubion, the robot navigates through strawberries, detecting ripe ones, picking without bruising and placing it in its punnet. Octinion said that its innovation is not only an answer to the labour shortage in the sector, but it also allows growers to increase the quality of its produce – which in the end benefits the consumer. Introducing robots in a sector where almost everything gets done by hand is "more of a revolution than an evolution", according to Octinion, which is calling for lose collaboration with all stakeholders. "Not only have we been working together with growers and test centres across the world for the past couple of years, breeders have also been keen on being part of the technological developments," Coen continued. "Growing systems and varieties will adapt to what is more ideal for a robot. We will have a robot driving around at the Dutch Fresh Forward Breeding and collaborations with other breeders to shape the future of the sector. Our door is open for additional breeders."